Martano (Le) - Beautifully arranged three bedroom first floor apartment. 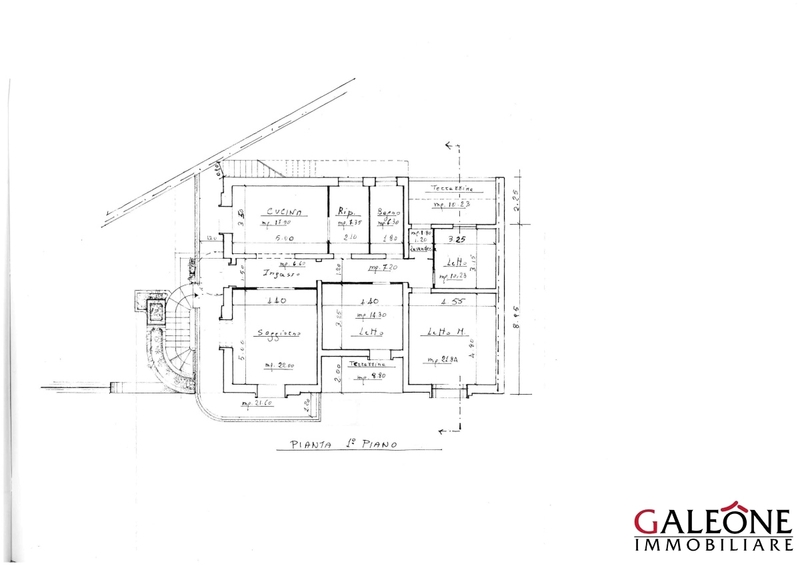 We are pleased to offer for sale this spacious three bedroom apartment set on the first floor of a two-family house located in Martano, a small town in the province of Lecce. The accommodation boasts abundance of natural light throughout and spans approximately 169 sq. m. (approx. 1820 sq. ft.) comprising entrance hall, sitting room, dining room, kitchen, three bedrooms, 2 bathrooms, utility room, laundry room, balconies. The property for sale includes a private garden and the roof terrace. Thanks to its size and brightness this property lends itself to being customized, based on the specific needs of its occupiers. Bright three bedroom first floor apartment, internal floor area circa 169 sq. m. (approx. 1820 sq. ft.), entrance hall, sitting room, eat-in kitchen, three bedrooms, 2 bathrooms, utility room, laundry room, balconies, garden including two car spaces and a storage room, roof terrace, share of freehold. Energy class: “F” 167,80 kWh/ m2 *annum. Location: close to schools, post office, banks, coffee shops and local amenities. DISTANCES by car: Bathing facilities on the Adriatic Sea 22 Km (28 min.) 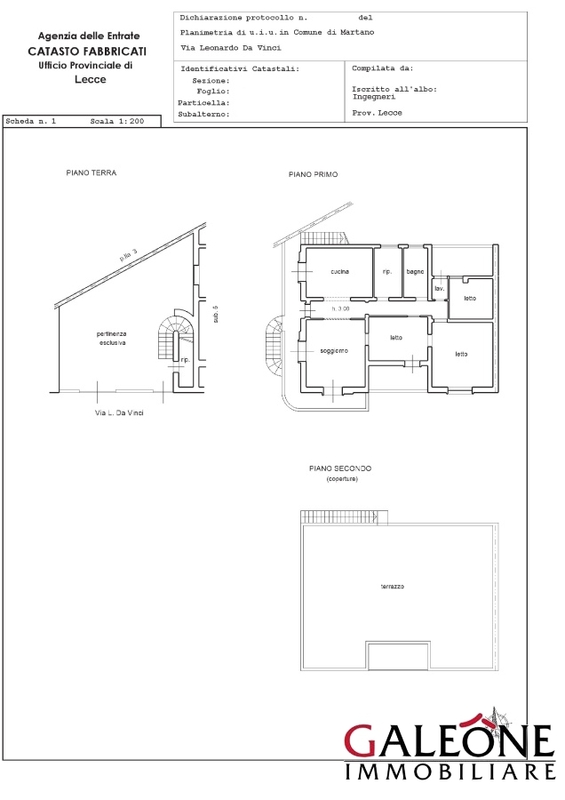 | Otranto 18 Km (20 min.) |Santa Cesare Terme 28 Km (30 min.) |Maglie 10 Km (15 min.) | Gallipoli 45 Km 840 min.) |Lecce 24 Km (20 min.) |Aeroporto di Brindisi BDS 75 Km (1 h.) | Aeroporto di Bari BRI 200 km (2 ore).